Intel’s battery-free smart earbuds with fitness tracking tech, which were shown off in reference design form back in January at CES, are now a reality thanks to a partnership with 50 Cent’s SMS Audio. The SMS Audio BioSport In-Ear Headphones, to give them their full meaty moniker, will go on sale before Christmas. They are the result of Intel engineer Indira Negi and her team’s research and development in biometrics; Negi joined Intel CEO Brian Krzanich on stage at the opening keynote of the Vegas expo in January to show off an early version of the technology. That clever tech has now been developed into a consumer product with Intel taking care of the layout and circuitry, system integration and firmware, and SMS coming up with the slick looking design. 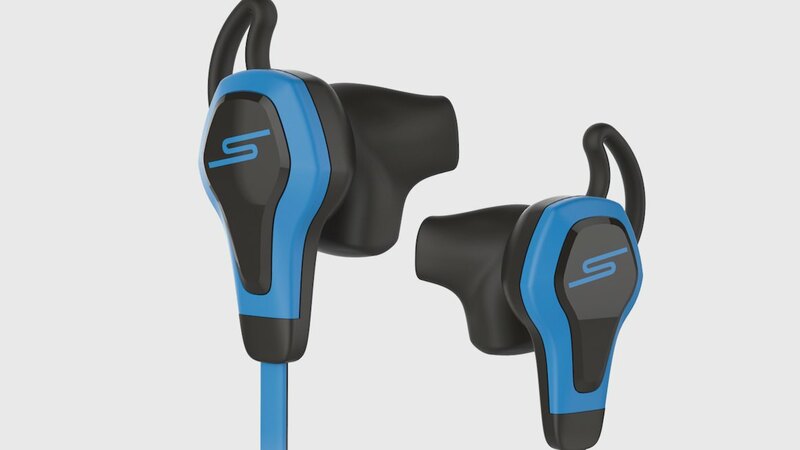 The SMS Audio BioSport buds pack in a wealth of biometric sensors, combined with a built-in optical heart sensor, that monitor a runner’s heart beat, states of relaxation and activity levels. Not only does this mean detailed data analysis (using fitness app RunKeeper) but also personalised playlists while running, based on the user’s performance. “People use their phone all of the time,” explained Negi. “We want to make all of the sensing opportunistic. We wanted it to happen incidentally. We wanted for it to happen on its own. “With the introduction of the SMS Audio BioSport In-Ear Headphones powered by Intel, we’re now the first to provide this level of integrated, seamless and helpful biometric information to inspire customers to advance their fitness experiences,” added Brian M. Nohe, president of SMS Audio. The hi-tech buds dynamically remove noise signals caused by body motion and ambient light and the customised, algorithmically chosen tunes are designed to help a runner achieve optimal levels of training. The BioSports are both sweat and water-resistant and, as mentioned, don’t require separate batteries as they “harvest power” using the 3.5mm jack. Due for launch in Q4 of this year, there’s no word on pricing as of yet and no comment on whether the app support will extend beyond RunKeeper.